I grew up hard of hearing. The library was my favorite place and I often spent Saturday mornings picking up books for the week. I immersed myself in reading for hours and hours. For me, the written word was the key to the universe because the audio world simply wasn’t accessible. When I became a mom of three deaf and hard of hearing kids (who are now young adults) I was determined to give them the same keys to the universe. 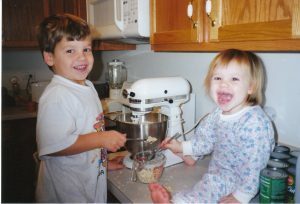 My children were all born with normal hearing and became deaf/hard of hearing at two, four, and two years of age. When they were born, I introduced them to board books before they could even sit up. I had books everywhere in the house–and always kept a box of books in the car. Today, all three of them enjoy reading, although they all took different paths to learn to read. The key to teaching reading to any child is to make it FUN! Learning to read doesn’t have to be a dreaded process for you or your child. Start early. 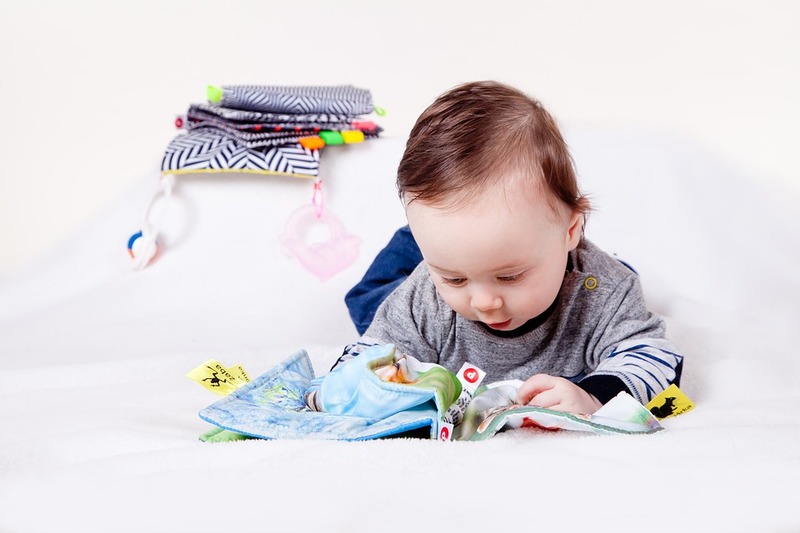 Your infant can begin to enjoy picture books as early as six weeks–which is about when their vision sharpens. Keep in mind, books need to be held no more than ten inches away during the first three months. As soon as each of my babies were a few weeks old, I brought out picture books with simple objects and just one to a page. Before my kids could even sit up, they would become excited at seeing the same books over and over. Often, my husband and I would team up to read, with one of us holding the kid and the other reading and signing. When our kids were a bit older, one of us would read out loud while the other held the book and followed along pointing at each word. 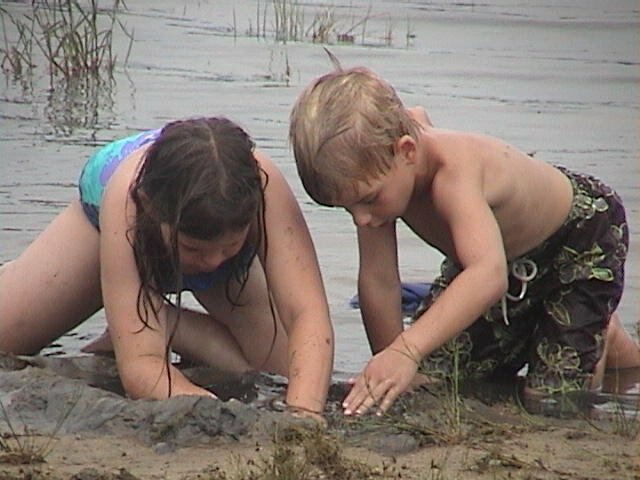 We often alternated our methods in a variety of ways depending on each child’s development and skill. Not only did we strive to develop their language skills, we worked on auditory skills with whatever auditory ability they had. Even kids with profound losses can appreciate books that focus on sound–using drums, vibrations, visual lights flashing, etc. Be as creative as you can in showing your child the visual and auditory world around you. One of the best places to teach reading is in the tub. This is the perfect place to keep your child in one place for a while and have some fun learning to read. Of course, you’ll need to keep the books OUT of the water. Occasionally I would also bring in treats like ice cream bars or popsicles (you can make healthy ones!) –this would keep my child occupied long enough to sit in one spot and watch me as I read from a book. The best reading tool is a set of foam letters. Yes, that’s right. A cheap set of foam letters. I taught all three of my kids to read during bath time. Start by teaching them to recognize each letter. Once they know the alphabet, play “Hunt for the Letter” by placing two of them in the tub. “Where’s the A?” “Where’s the P?” You can gradually increase the number of letters floating around until you have the entire alphabet in the tub. You can use cueing, fingerspelling, or flashcards to show the letters you’re looking for. Have your child put each letter up on the bathroom wall as they find them. (If your child has a waterproof hearing device, they can keep it on during the play session–check with your audiologist to confirm). The next step is to start spelling out short words. Cat. Dog. Mom. Dad. Pig. And so on. I had a whole collection of plastic animals that we used in the tub–I would put the word up on the wall and my kid would have to find the corresponding animal. Here’s a way to vary the activity and encourage kids to think. Put up the word “Cat.” Then hold up an “M” and a “H.” Now ask your child, “Which letter would turn this word into “Hat?” If your child has some difficulty, then use visual cues, props, flashcards, cueing, or fingerspelling. Do this with a variety of easy words. Grab a 100-pack of index cards and a marker. Label things around the house and stick the cards to each item. Once your child has mastered the words, substitute the cards with more complex words or similar words. This works great for families with multiple languages. 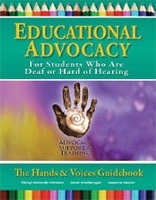 Yes, deaf and hard of hearing kids can learn more than one language. The key is to provide access in a way that the child can comprehend, process, and understand language. Once your child has basic recognition of words on the index cards, you can put them in a pile and play, “Find the Word.” Then expand it to, “Create a Sentence.” For more advanced word, ask your child to pick up five index cards and “Create a Story” with the words. The stories can be as silly as possible! Choose different areas of the house to read books. Spread a blanket outside and have a picnic while you read. One of my kids’ favorite books was “Picky Nicky.” This book was a bit more advanced for the beginner reader, but the beauty of this book was each sentence had one or two pictures in place of words. I would read/sign the words and pause at the pictures. This gave my child the opportunity to fill in the word by looking at the picture. It was a great way to involve them in reading longer books and allowing them to participate in the reading. My kids also loved “The Very Hungry Caterpillar” because of the different-sized pages. For fun with pre-schoolers, you can purchase all the foods in the book and have a feast as you read! Let your child scan the box to find the answers. Create simple recipes for foods that your family eats often and read the recipes together as you prepare the food. This skill goes a long way in life! One of the first signs my kids learned to read was the “stop” sign. “Oh look, there’s the stop sign,” you say as you come to a stop. “S. T. O. P. Yup, that means stop. So I’ll need to stop here.” Yes, that sounds cheesy when you say it, but hey, you’re teaching your kid to read everything, everywhere you go. As they become older, you ask for their help in finding certain exits. “I need to watch for the exit for Lawrence,” you say. “Can you help me find the exit that begins with the letter, L?” Do this within a mile or two at first. For more fun, start out on a trip with a list of words to find and cross them off as you pass them by. Play the License Plate Game on long trips. You can print out the license plates of all the states here: License Plate Printable. When your child begins to learn to read and knows a few words from a favorite book, read along by pointing to each word/sentence (as you speak/sign/cue) and then stopping in puzzlement at a word that your child knows. Give them a chance to recognize and read the word–kids love to help adults and share what they know! When your child has a comprehensive understanding of a book, you can also have some fun by misreading a word and waiting to see if your child catches your mistake. This is also a way to test your child’s understanding and comprehension. Another fun reading activity: alternate sentences when reading familiar books. You read one sentence, your kid reads the next one. Everywhere you go, with everything you do, find and create opportunities to expand your child’s language and their exposure to the written word. One of our favorite toys was the Magnadoodle–I would introduce a new word and draw a picture for the word. This was great during the times we had to wait in doctor’s offices. At the beach, we would write words in the sand. Pick books that fit your child’s language development at the time then alternate with a book that’s a bit above their language level. If you notice your child has a passion for a certain sport or activity, select books around those topics. My youngest child hated to read books but he was content to sit through a football book–he knew every NFL team by the time he was four. Don’t be afraid to read books that are above your child’s reading level. The more words you expose your child to, the better!